35 years, 11 months, 16 days old age. Gagan Narang will turn 36 on 06 May, 2019. Only 13 days, 9 hours, 54 minutes has left for his next birthday. Gagan Narang has celebrated the total number of 35 birthdays till date. See the analysis by days count and bar graph. 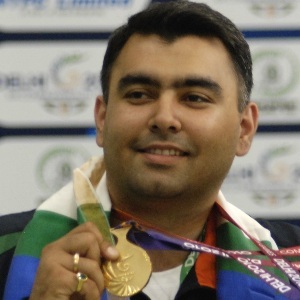 Gagan Narang was born on 06-05-1983 in Chennai in the state of Tamil Nadu, India. He is an Indian Shooter & Athlete. His love for shooting was born when a six-year-old Gagan held the gun for the first time at the Chennai Marina Beach carnival to shoot balloons. He first came to prominence at the 2003 Afro-Asian Games where he clinched the gold medal in Men’s 10m Air Rifle in front of his home crowd. Two years later, he added the Asian Championships gold medal in the same category as well. The biggest moment of his career came in 2012 when he grabbed the bronze medal in 10m Air Rifle at the London Olympics with a total score of 701.1. 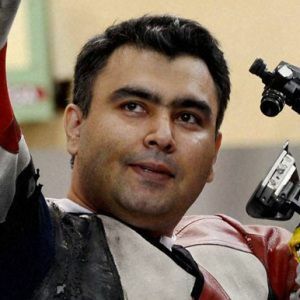 After his 2010 Commonwealth Games Medal, Gagan Narang has started India’s first privately managed shooting academy called Gun for Glory in 2011 to promote and aid budding shooters in the country. He qualified for three events in the 2016 Rio Olympics and was one of the medal prospects for India but couldn't win a single medal. 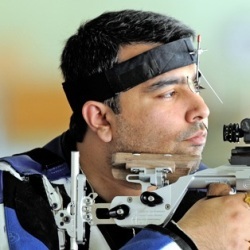 Gagan Narang achievements in Air rifle shooting are well known as he was conferred with 'Padmashree Award' in 2010 and 'Rajiv Gandhi Khel Ratna Award' in 2011. He was born to Amarjit Narang and Bhimsen Narang.